The site of one of the most fabulous vistas of river and forest, the Satkosia Gorge where the great Mahanadi River crashes in with monumental force is a dizzyingly enervating experience for the visitors. The meandering pace of the sensuous river, 22 km of thick forest, offers scenic delights of the frothing, boiling water as it wends its way through the fabulous gorge, considered to be one of the most enchanting spots in the world. It is the ideal place for boating, angling and other adventure sports. 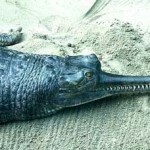 The Gharial sanctuary of Tikarapara is a must for wildlife fans. This entry was posted in Orissa, Tikarapara. Bookmark the permalink.